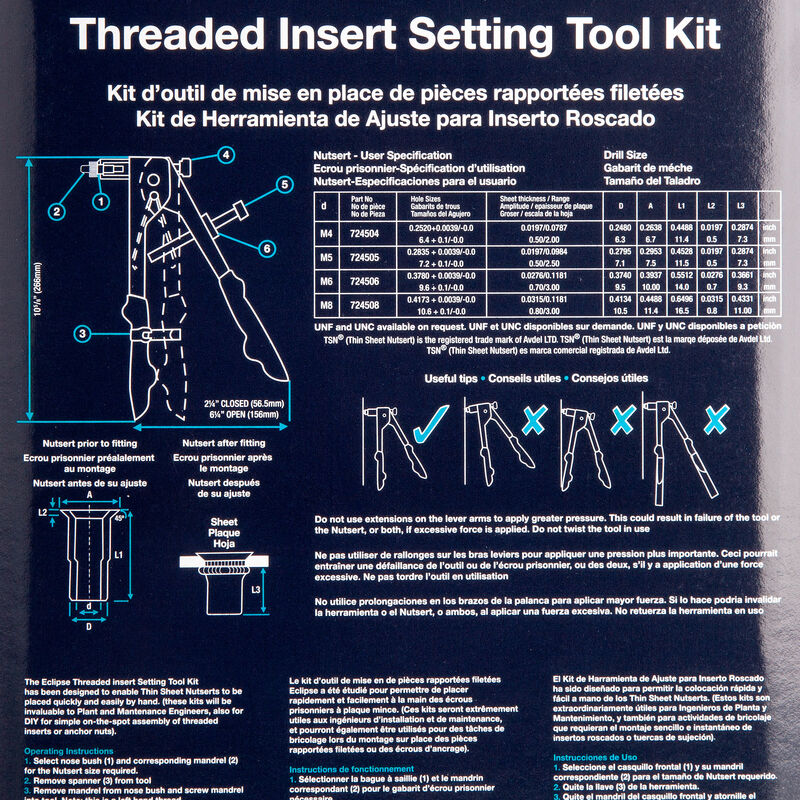 This thin sheet setting tool has been designed to enable threaded nut inserts to be set easily by hand. 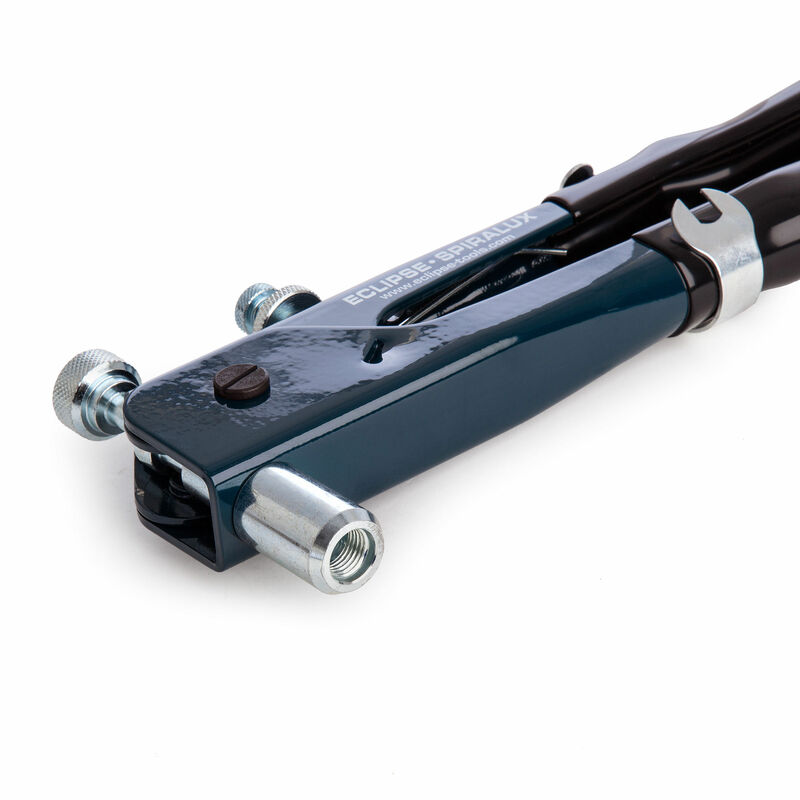 Invaluable to maintenance engineers for on-the-spot repairs. 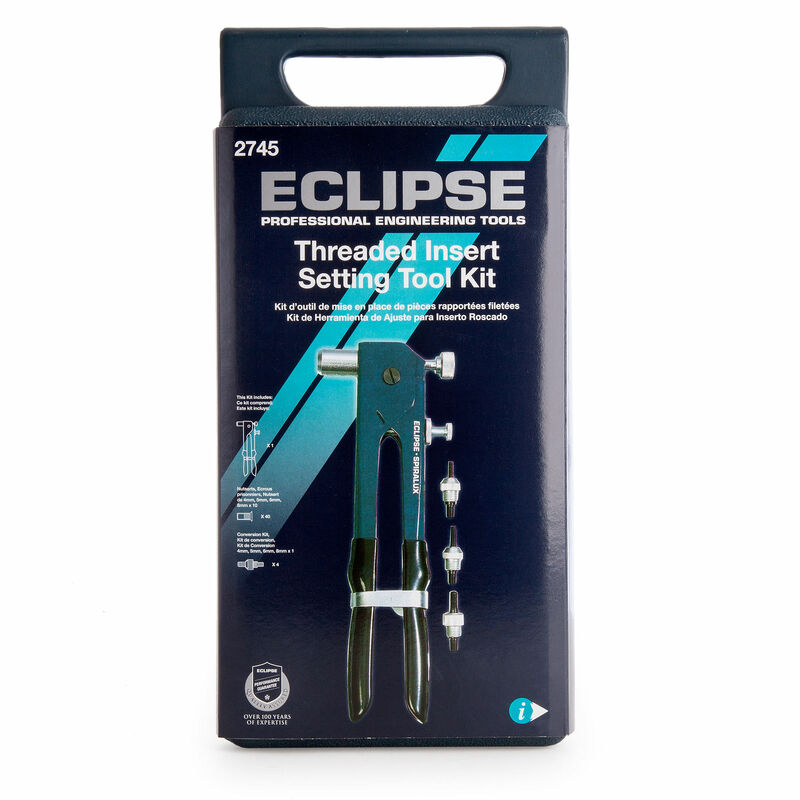 Supplied in a compact tool box for easy storage complete with 4mm, 5mm, 6mm and 8mm nose bushes, mandrels and threaded nutserts. 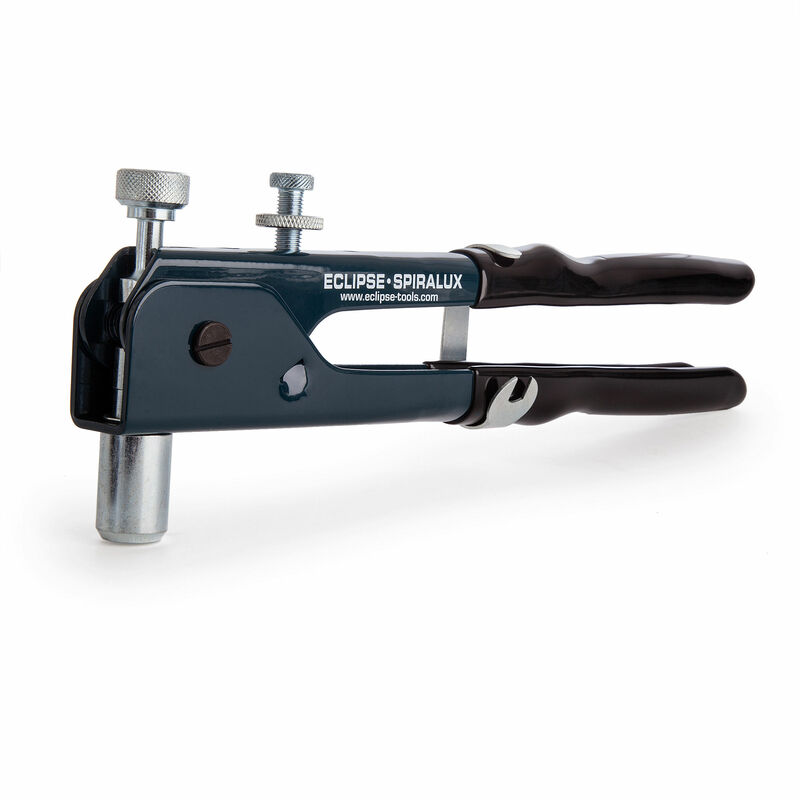 Designed for the quick, manual insertion of permanent load bearing threads in materials from 0.20" to 0.128". Simple set up and easy uniform stroke allows a nutsert to be set in thin sheet materials without causing surface damage. 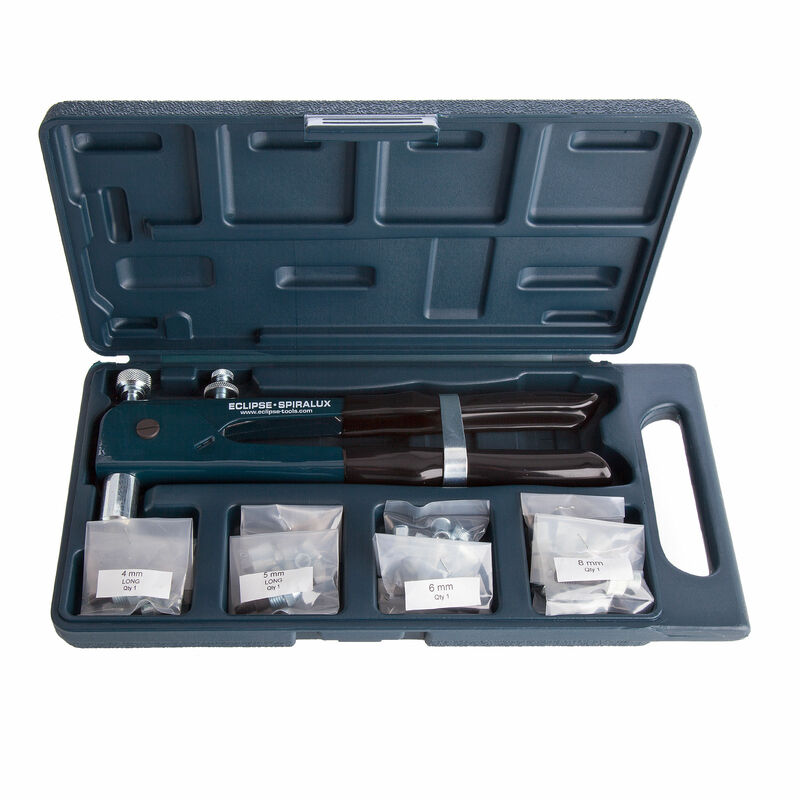 A comprehensive range of conversion kits and inserts are available.